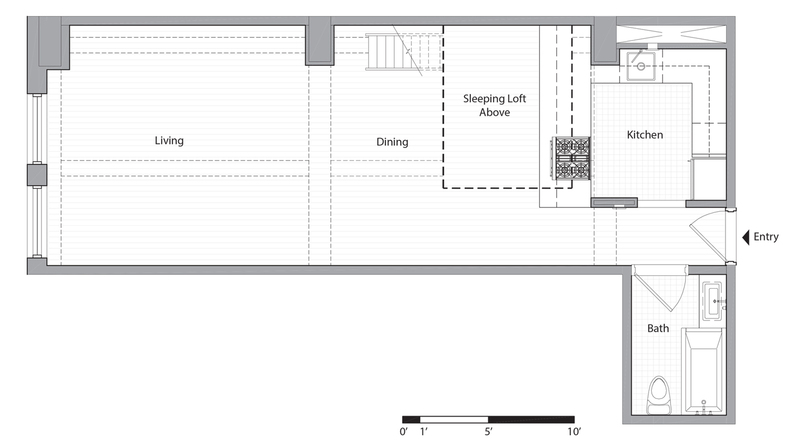 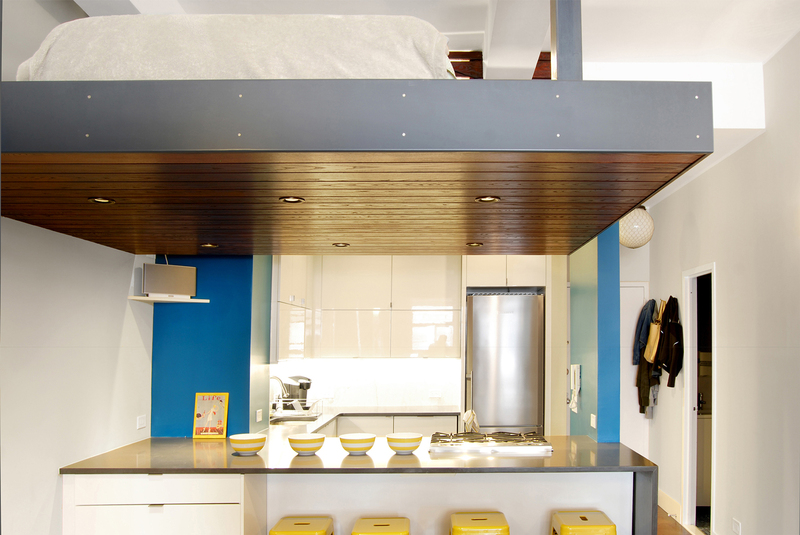 This 700 square foot loft space in Chelsea originally had a small galley kitchen separated from the rest of the space and a sheet-rock clad sleeping loft. 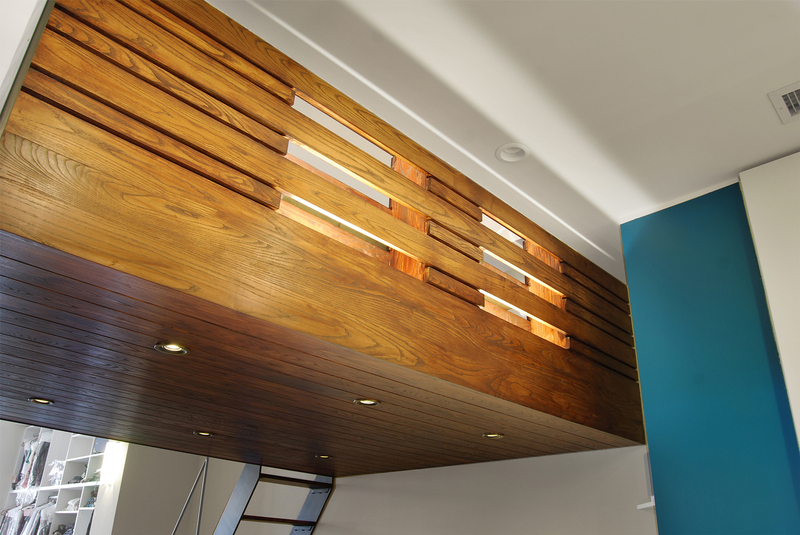 The renovation involved reconfiguring the kitchen, expanding it and opening it up to the living space with peninsula seating, and rebuilding the sleeping loft. 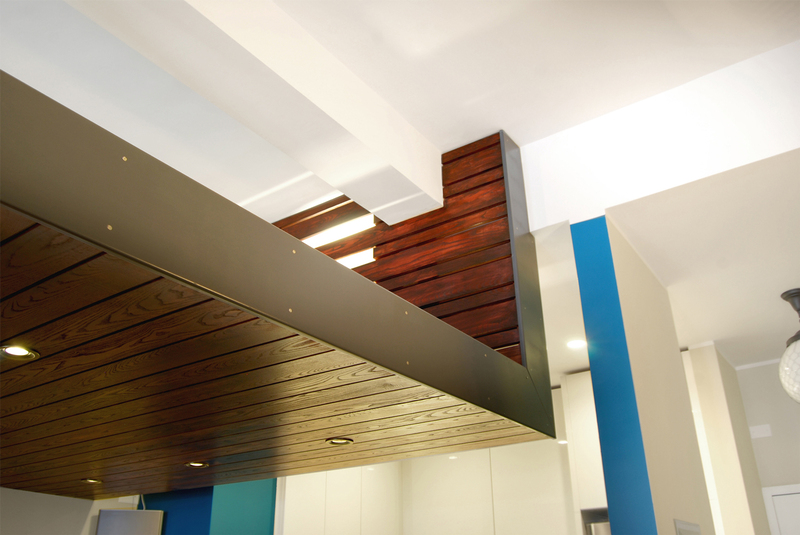 The new loft was conceived of as a folded wood panel with a blackened steel edge band. 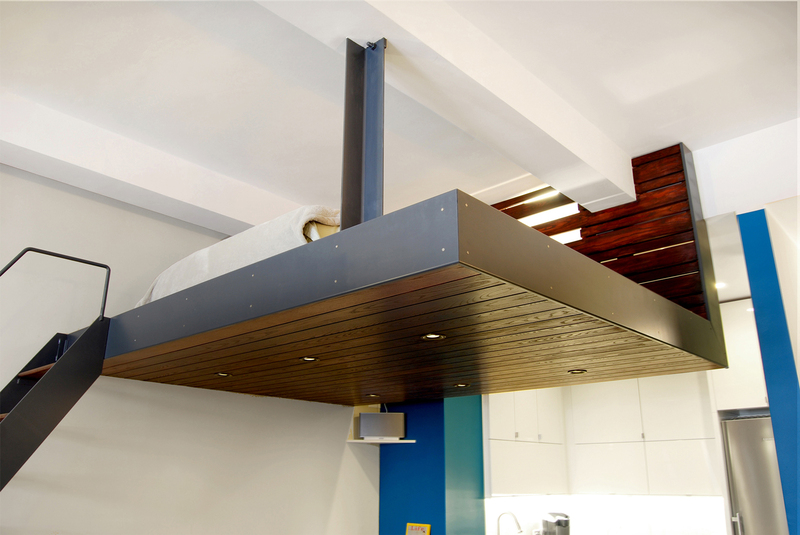 The outer edge of the loft is hung from the existing ceiling beam structure by two steel angles. 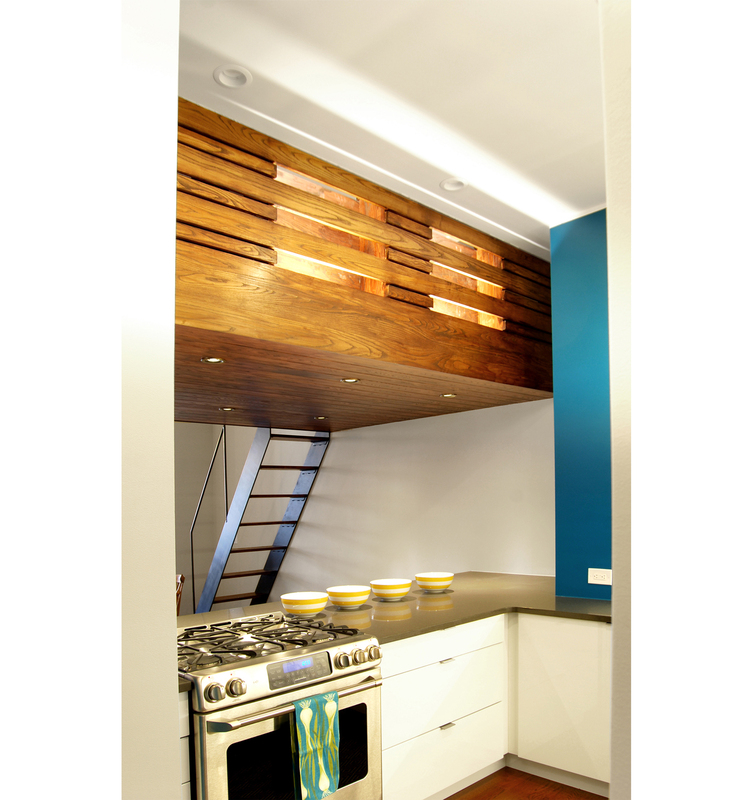 It is clad is cherry stained oak plank to match the flooring, and features integrated lighting in its back wall, creating a glowing facade toward the kitchen.